season on the times and frequencies as specified above. this net on the same HF frequency, i.e. 7.268 MHz LSB. The Midwest Amateur Radio Net (MIDCARS), is available to handle any emergencies during the course of the morning on 7.258 MHz LSB. Please support our volunteer efforts by donating for new equipment and general upkeep of this station. Listen to the net via our VHF link to the WA9ORC 2M FM repeater in downtown Chicago. Frequency 146.760 MHz, PL 107.2 This repeater transmits with 200W from the top of the AON (old AMOCO) building, giving us a range of about 50 NM into southern Lake Michigan. This covers all the Greater Chicago area marinas with about 7000 boats. Various receive sites are spaced around the Lake. 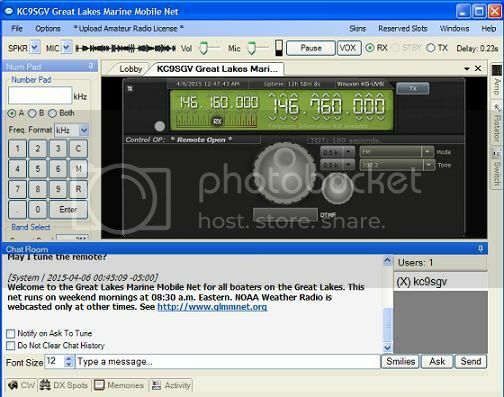 Download the free RCForb client software from Remotehams.com and connect to the Great lakes Marine Mobile Net. Listen to the net from your computer or IPad via this Web Software Defined Radio in Michigan. Enable http://blerp2.dyndns.org:8901 in your Java App. Click on the "Mobile version" for your smart phone or IPad. Click on iOS Audio Start. Slide the waterfall or cursor if necessary to achieve clear speech audio. Port Huron area Marine VHF scan. Detroit River area Marine VHF scan. Lake Michigan South shore marine VHF scan. St Mary's River and Soo Locks Marine VHF scan. We are requesting all stations to please monitor both Marine VHF Channel 16 (156.800 MHz FM) and Ham HF 7.268 MHz LSB after the net - 24/7 over weekends while on the boat or at home. Local Ch 16 emergency traffic can then be relayed long distance via Ham HF. This will greatly enhance boating safety on the Lakes by providing more listening ears. 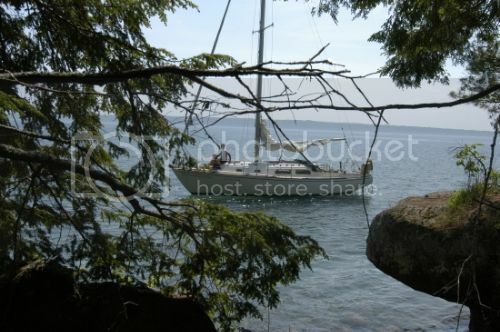 Great Lakes Marine/Maritime Mobile Net. Great Lakes Ham Radio Net. 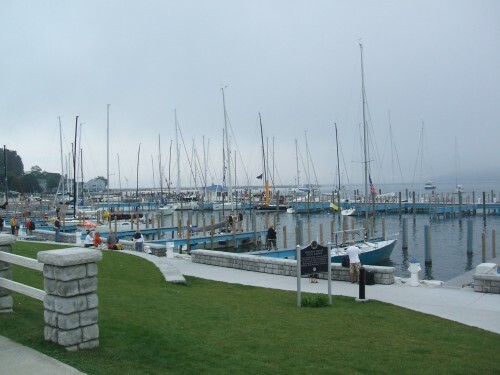 A Good Samaritan weekend HF SSB and VHF amateur radio net for all mariners on the Great Lakes. All frequencies are +/- interference. VHF FM : Simultaneous session on the WA9ORC 2M Chicagoland Echolink-enabled repeater on 146.760 MHz FM (PL 107.2), node # 62478, during the net. One of the antennas is on top of the AON (old Amoco) Building. Please disconnect after the QSO. We also have Skype for worldwide HF phone patches and Echolink, for full coverage VHF communications. In addition we are fully conversant and proficient with WINMOR HF email, and can enter position reports into the Winlink 2000 system. All stations are requested to loosely monitor 7.268 MHz LSB after net hours 24/7 on weekends for any emergency calls. 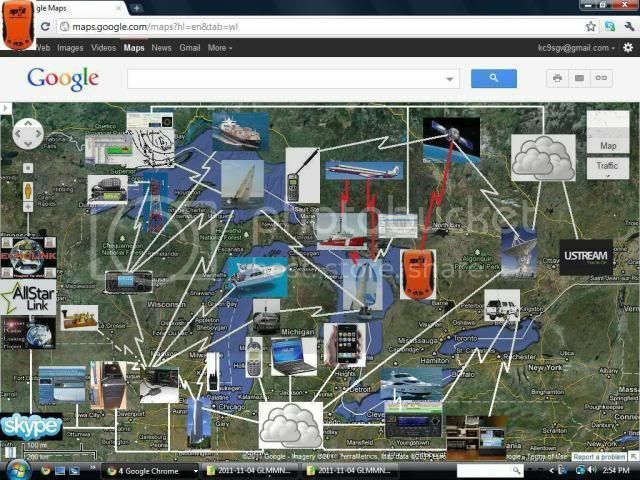 Echolink and IRLP nodes around the Great Lakes. Scroll to the Great Lakes. Click on "View">"Make this my start location". Use the Echolink and IRLP repeater position APPS for Iphone and Android phones. 3G and 4G range on the Lakes is about 3 to 5 miles offshore. For longer ranges, Ham VHF/UHF and HF is required. Use the free Scanner Radio APP on your iPhone or Android device to listen to the net and to monitor the radio after the net. Additionally, you can also use the free Iphone or Android APP for Ustream on your mobile phone. Or you can use your computer with Flash. 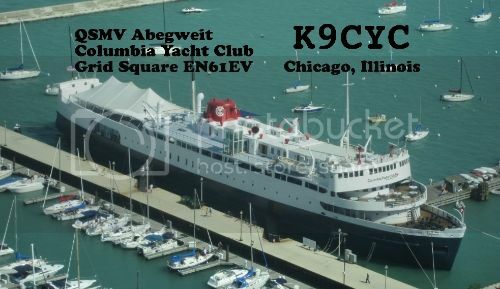 Search on Ustream for KC9SGV or Great Lakes Ham Radio. See these additional radios and radio nets around the Great Lakes. These work in co-operation with the Great Lakes Marine Mobile Net to effect total communications. 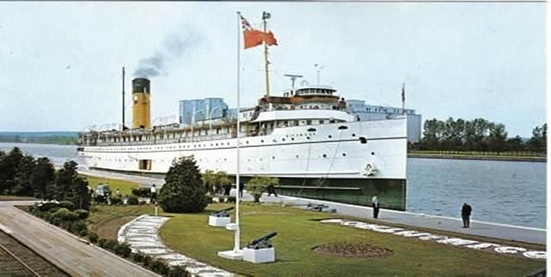 S.S. Keewatin Ham Radio station - VA3VGC. Follow these links below. "Caveat emptor", as always...=) I.e. read the ads carefully. How to become a Radio Amateur (Radio Ham).